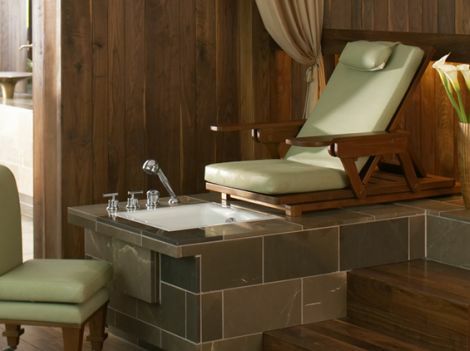 here’s the perfect product forÂ youÂ impossibly rich, agoraphobic spa lovers out there: the pedicure spa from kohler, featuring teak client chaise, rolling technician chair, and deep cast iron footbath with three whirlpool jets and interior foot massagers. okay, maybe you don’t have to put it in your house, but for the recordÂ i’ve been to watersÂ at the american club, and i don’t remember it quite like this. 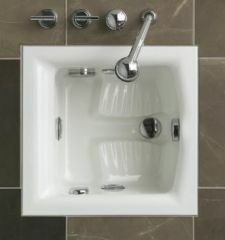 $14K on the kohler websiteÂ – slate or marble surround not included. for $14k, it should come with a spa technician to actually do your pedicure. Lenox SE the Couture Pedicure spa, ideal for your Day Spa and Salon. 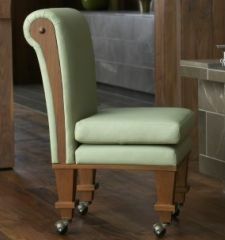 Stand is fashioned from our proprietary Hard Roc glass. Copyright 2013 J&A USA Inc. All rights reserved. with the commitment to manufacture Quality Pedicure Spas combined synergistically with the most responsive After-Sales Technical Support. being an Innovative, Creative, and a Proactive company. when the safe Pipe Less Whirlpool first became available. Pedicure Spa and J&A to ensure that quality Workmanship, quality After-sales support, and Safety are incorporated into every one of Lenox Pedicure Spas. excellence has been the UL Certification on each and every Lenox Pedicure Spa.